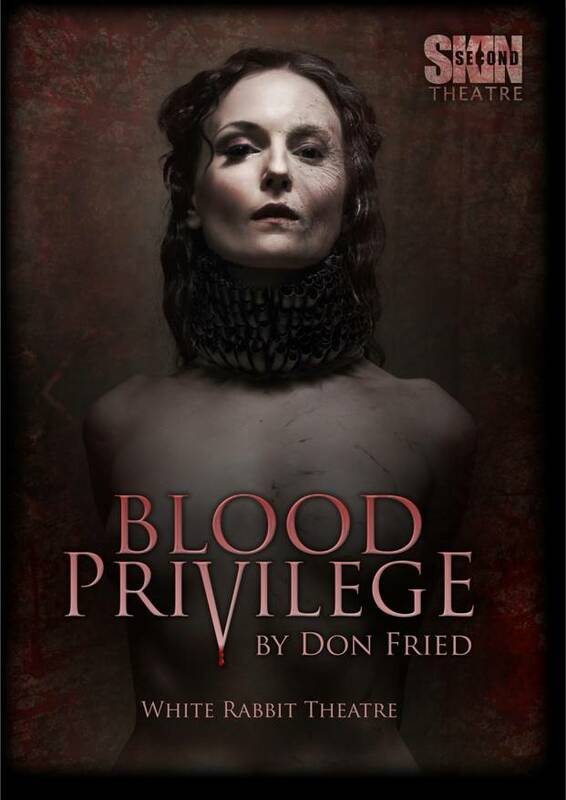 The London production of Blood Privilege opens Wednesday, March 27, at the White Rabbit Theatre in Stoke Newington, London. 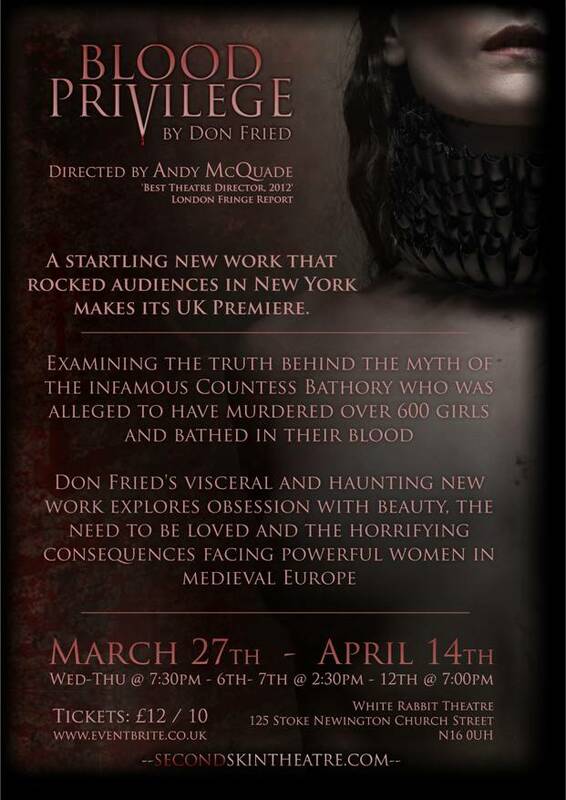 It’s being directed by Andy McQuade, who won the 2012 Best Director Award from London’s Fringe Report. Andy directed the production that closed a few weeks ago in New York City, but the London production is as different from that one as two productions of the same play could possibly be. Get on a plane, come by bicycle, hop on your pogo-stick. Do whatever you have to do, but don’t miss this one!